An unquestionable victor of the Battle of Britain, Air Chief Marshal Hugh Dowding was one of the great strategists of the period, and is considered by many to be the father of modern aerial warfare. 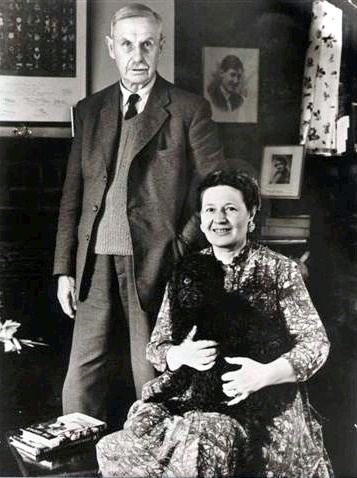 The efficiency of Britain’s defence system, which he envisioned almost entirely by himself and which he built up in the years preceding the war, was developed without benefit of hindsight and partially in contradiction with the established views of the inevitability of the “knock-out blow”. 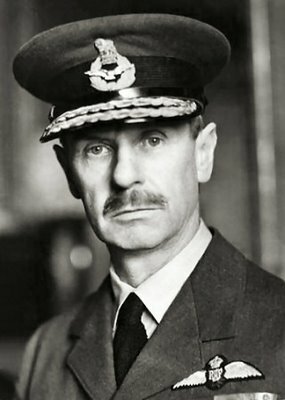 To build an effective defence system, Dowding knowingly adopted an entire array of modern technologies, from metal monoplanes through radar to telecommunications and he managed to bring them together into a cohesive, well functioning system. That this system “scaled up” to withstand the circumstances of the Battle of Britain when the Luftwaffe operated directly from the French coast is an ultimate witness to the genius of his achievement. 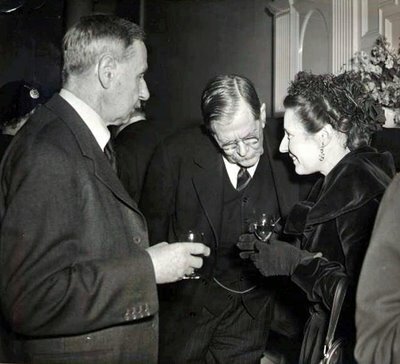 Lord Dowding, Lord Trenchard and Muriel, The Lady Dowding meet on a social occasion, probably late 1940s. Dr. Vincent Oringe, author of DOWDING OF FIGHTER COMMAND, (p 92-93) has provided the detail of this photo I gave him as: 1952 – during a reception at the United Services Club.